"A Florida sheriff's office posted a controversial message on social media, urging citizens to arm themselves in self-defense," WSVN 7 News Miami reported Friday. 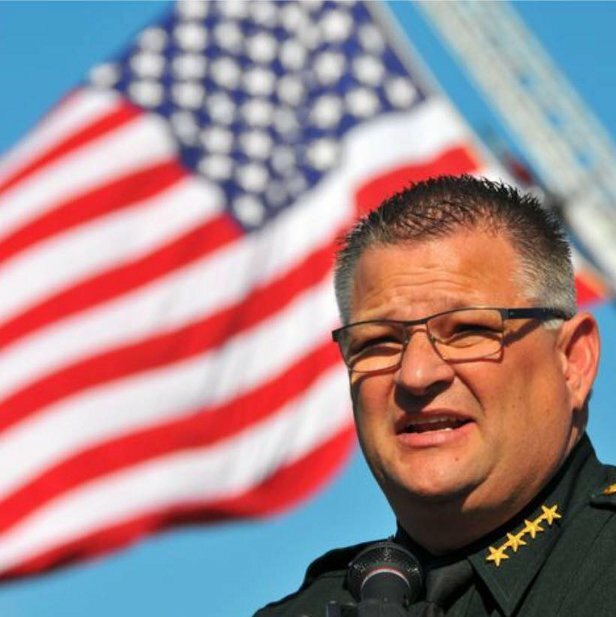 "Brevard County Sheriff Wayne Ivey posted the video on Facebook Wednesday, two days after a deadly workplace shooting in nearby Orlando claimed the lives of five people." "Some residents applauded his stance while others criticized it, calling it 'fear-mongering' and encouraging vigilantes." So preparation is "paranoia," and fighting for your life is "taking the law into your own hands"? If terms can be redefined to favor attackers, why wouldn't calling for help be considered "snitching"? Which is naturally what Opposite Day "progressives" say you should do, never having an answer for the familiar truism that "when seconds count, the police are minutes away..."
Ivey's message is at odds with some others in law enforcement, who argue that more citizens carrying guns exposes officers to more dangerous situations, and could prevent them from doing their jobs safely. Leonard Papania, the police chief in Gulfport, Mississippi, spoke out against weakening gun regulations to the New York Times, saying, "Do you want every incident on your street to escalate to acts of gun violence?" Pants on fire much, chief?